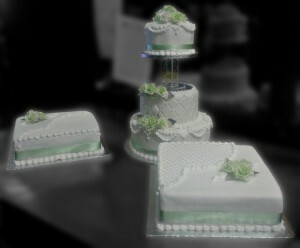 Here are a selection of our wedding cakes. We have many more in store! Please feel free to come in for a quote. 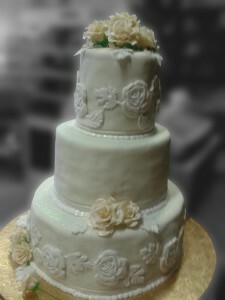 Beautifully decorated with an embossed rose design and white roses. 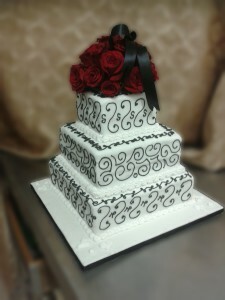 Delicious Red Velvet along with intricate icing, and beautiful red roses. 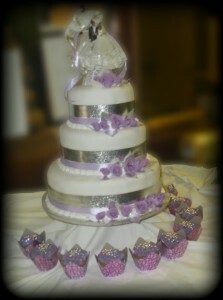 A three tier wedding cake with pretty violet decorations, accompanied by special tasty cupcakes. 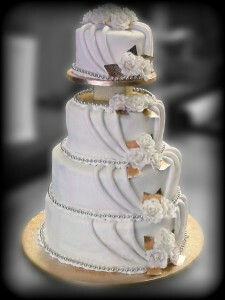 A beautifully decorated three tiered wedding cake. 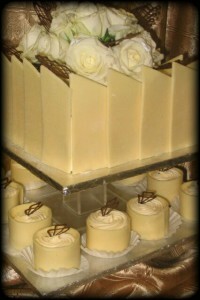 A decadent, delicious mousse wedding cake. 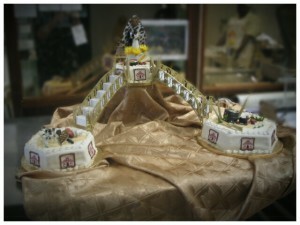 An exquisite four tier cake with intricate icing and decorations. 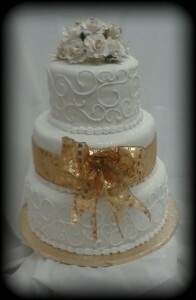 A grand white and gold three tiered cake. 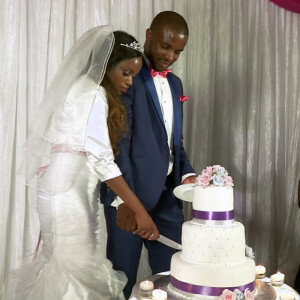 An African traditional wedding cake. 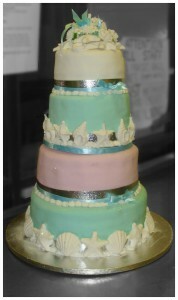 A coloured four tiered wedding cake adorned with fancy shells and ribbons. 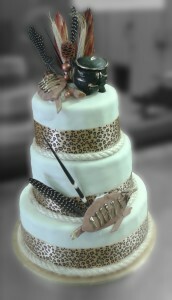 A cake with a traditional African flair. 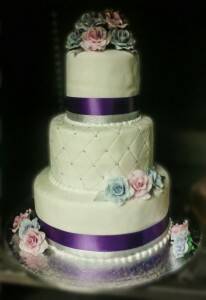 A fancy three tiered cake alongside two lacy square cakes.